India needs to develop its own path to attain capital adequecy for public sector banks (PSBs) as required by the Basel III global norms, former RBI Governor Y V Reddy said on 28 June. The finance ministry, incidently, had made a case recently for pushing back the Reserve Bank's deadline for implementing these norms in view of higher capital requirement to deal with bad loans which have reached unacceptable levels. "Basel III banking norms are sort of guidelines in international standards. In principle we want to go towards the Basel III banking norms. The pace of implemenation is left to each country," Reddy told PTI in an interview. "I think it is appropriate that India decided its own path to the comprehensive basel III norms. So I would not consider it as an unwelcome thing, if it is being done wisely, I am sure," he said. In a recent meeting with RBI, senior officials from the finance ministry pitched for deferring the implementation of Basel III norms beyond March 2019, saying it will help banks meet the capital needs and increase credit flow to productive sectors along with balance sheet clean-up. These global capital to risk norms, called Basel III capital regulation, are being implemented in phased manner by Reserve Bank of India since April 1, 2013. They are to be fully implemented as on March 31, 2019. As per the norms, banks have to maintain a minimum common equity ratio of 8 per cent and total capital ratio of 11.5 per cent by March 2019. Most of the 21 state-owned banks are already above the average prescribed by RBI as of now but there are 6 PSU banks including IDBI Bank, Bank of Maharashtra and Central Bank of India, which have been put under prompt corrective action (PCA) requiring course correction and higher capital to come out of poor financial health. However, provisioning levels for the Indian banking sector have risen sharply over the last few quarters in response to rising bad loans, with the RBI's asset quality review initiated in December 2015 pushing the bottomline of several PSBs into the red. Their toxic loans rose by over Rs 1 lakh crore to Rs 6.06 lakh crore during April-December of 2016-17, the bulk of which came from power, steel, road infrastructure and textile sectors. Gross non performing assets (NPAs) or bad loans of PSBs nearly doubled to Rs 5.02 lakh crore at the end of March 2016, from Rs 2.67 lakh crore at the end of March 2015. Finance Minister Arun Jaitley has announced capital infusion of Rs 10,000 crore for PSBs in the current fiscal in line with the Indradhanush scheme. This will be over the Rs 70,000 crore that banks will get as capital support from the government. Of this, the government has already infused Rs 50,000 crore in the past two fiscals and the remaining will be pumped in by the end of 2018-19. As per the scheme, PSBs need to raise Rs 1.10 lakh crore from markets, including follow-on public offer, to meet Basel III requirements, which kick in from March 2019. According to sources, discussions are ongoing with RBI and the finance ministry has made the point of deferring Basel III norms given the circumstances. RBI had already extended the deadline from March 2018 to March 2019 in 2014 after getting representation from various quarters. 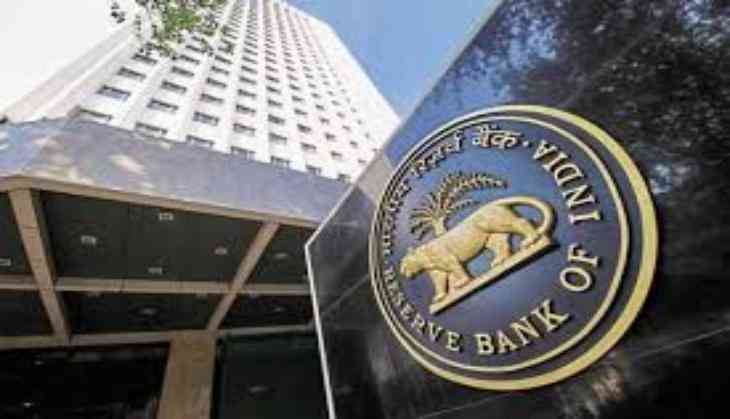 The implementation may necessitate some lead time for banks to raise capital within the internationally agreed timeline for full implementation of the Basel III capital regulations, RBI had said. RBI believes that there is a set framework and it should not be disturbed and any divergence from Basel III norms by the RBI can impact the perception on Indian banks and the central bank globally. Basel III reforms are the response of Basel Committee on Banking Supervision (BCBS) to improve the banking sector's ability to absorb shocks arising from financial and economic stress, whatever the source, thus reducing the risk of spill over from the financial sector to the real economy. Following the global financial crisis 2007-08, during Pittsburgh summit in September 2009, the G20 leaders committed to strengthening the regulatory system for banks and other financial firms. They aimed at implementing strong international compensation standards aimed at ending practices that lead to excessive risk-taking, to improve the over-the-counter derivatives market and to create more powerful tools to hold large global firms to account for the risks they take. As a result of this Basel II replaced Basel III reforms on capital regulation.